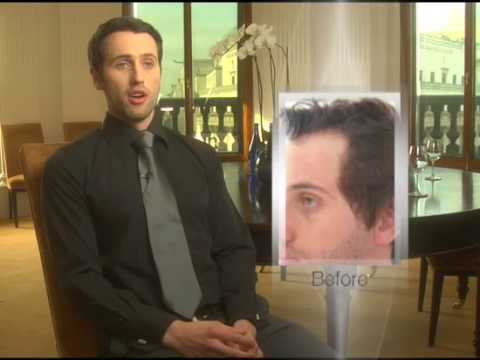 "How to Beat Hair Loss" is a source of information for men and women suffering from hair loss. It describes in detail and in an easy-to-read format the latest surgical, medical, and alternative treatments for hair loss. The world renowned physician Dr. Antonio Armani, M.D., has released two books on hair loss based on his work and studies titled; "How to Beat Hair Loss" editions one and two. These books contain valuable information describing the types of hair loss, different types of procedural treatments associated with balding, and other valuable information required to comprehend one's hair thinning dilemma. A walk through deducing classifications and patterns of genetic hair loss is presented to those who would like to understand the possible sources of their problem. Readers are also shown pictures displaying before and after results obtained by clients who have undergone a procedure with Dr. Armani. In-depth descriptions of the procedures provided to clients are described in great detail; all the way from the treatment before the procedure, to the short healing time afterwards. Other forms of hair replacement are explained defining both the facts of each possible treatment solution, along with the pros and cons of each method. Currently there is research being conducted to find future methods of hair replacement, Dr. Armani believes in exceeding any sort of competition in the hair transplant industry. He strives on being the best, constantly monitoring future solutions that are evolving hair restoration methods. Good book...easy to read, great photos and answered all of the questions I had regarding my hair loss. I heard of Alvi Armani before and am seriously looking into him performing my hair transplant procedure.